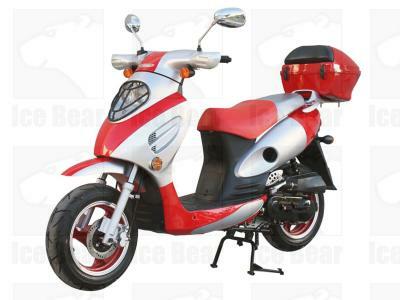 This Sporty 50cc Gas Scooter is an eye catcher! Riding around on this scooter just may as well be like riding around in a sports car. Don't be fooled by it's stylish looks, this scooter is full of performance. Save on gas, fun to ride and handles like a dream. Did we mention 90 miles per gallon? This model is equipped with a sport tuned suspension (STS) that will allow you to make sharp turns, ride on rough terrain and maybe a few bump hopping. Plenty of leg room for the big & tall. If you want a fun, reliable and good looking scooter, this one is for you! The shipping carrier, UPS Freight, Redex National, Sai or any other carrier we use will call you 1-2 days before delivery to arrange a "block time" for delivery to ensure you are present for delivery. Please watch your phone and e-mail carefully 5+ days from the date of order. 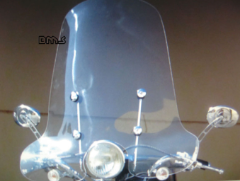 These mopeds are specially designed and manufactured to be sold online. 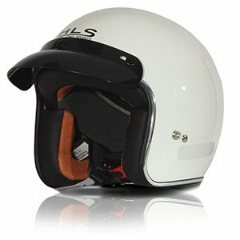 They have special packaging (minimize shipping damage and missing parts), every scooter is tested at the factory (real test ride, not just started), your warranty is NOT void if you assemble it yourself, you get free tech support from the manufacturer, the scooter is delivered virtually fully assembled. Shipping takes anywhere from 5-15 business days depending on your location. We do offer other custom shipping methods during checkout. Express shipping, gift receipt and business delivery are also options we offer! We know you work hard for your money. We also understand the need for peace of mind in a purchase. Now, you have the power to customize your own warranty protection to fit your needs. As a standard, we always offer a free warranty of every single product we carry. We also carry parts for these products. After over 8 years and over 55,000 customers served, we know what coverage will best service you the customer. When adding this item to your shopping cart you will be asked to select your warranty coverage. Remember, there is always a FREE standard warranty offered with every purchase, however we also offer longer coverage periods. Please keep in mind you must PRINT OUT the warranty agreement, sign and mail -or- fax it to our office to become active. We suggest you complete this and mail it while waiting for your new unit to arrive! This way from day one you are covered! Here are the following warranties available. Please note any warranty offered is a parts only warranty. 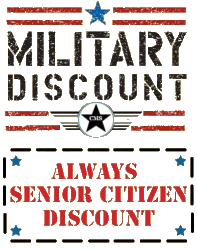 Unless you purchase directly instore from CMS or can bring your machine to our location for service. This warranty however long the term you select will cover everything noted HERE. Please feel free to contact us for assistance or with questions. NOTE: We've run a survey of what customers want to see us offer. We've listened! 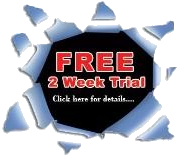 This option is offered by this website and no other dealer. 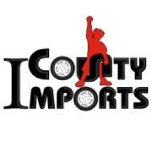 Thus, this warranty, parts and service offered must be with COUNTYIMPORTS.COM. If you chose to have a different dealer perform service or warranty work you must ensure the dealer provides a company letterhead draft of the parts needed to certify the claim. To file a warranty claim please go here. Generally no other site offers any extended warranty coverage and thus we must ask that you follow our simple protocol or contact our staff for assistance. Remember, our standard warranty is still 3 times that of any competitor! 11. We respect your privacy. 12. Simple Secure Checkout- We make your purchase as easy as possible! The continuously variable torque converter transmission always provides just the right amount of power. The high torque of the 4-cycle engine provides more than enough power to climb just about any hill you will ever encounter. Carburetor is 15mm and CV with automatic choke. Also has Ignition CDI & Kick start. Operation is extremely simple. Speed is controlled by the twist grip throttle. There is no clutch to operate as the drive system is completely automatic. This vehicle holds 1-1.5 gallon of gas, giving your moped a range of 70-115 miles, depending on rider weight and terrain.